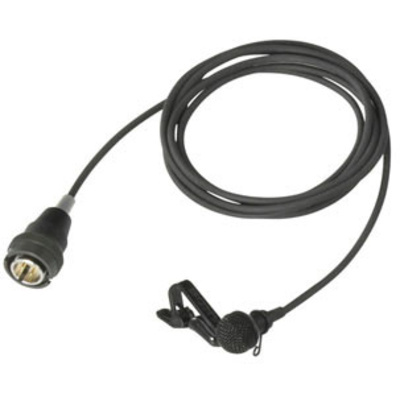 Product #16597 | SKU ECM77BC | 0.0 (no ratings yet) Thanks for your rating! The ECM-77 provides a wide frequency response of 40Hz - 20kHz. The wide frequency response enables the microphone to accurately reproduce audio signal from a wide variety of sources. The ECM-77 is manufactured with a variety of connectors to accommodate various input devices, this version features Sony's 4-pin connection required for use with the WRT-822, WRT-860 and WRT-8 beltpack transmitters. Phantom power is supplied via the connected body-pack transmitters. The ECM series is available in a variety of connections, this version features Sony's 4-pin connection required for use with the WRT-822, WRT-860 and WRT-8 beltpack transmitters. Phantom power is supplied via the connected body-pack transmitters.